New channel for Internal Communications? 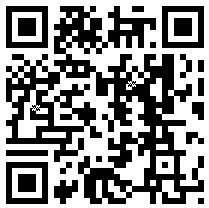 How many of you know what a QR code is? For the uninitiated, it is a two-dimensional matrix barcode that seems a bit smarter than your average common-or-garden barcode. QR stands for quick response. Toyota invented them in 1994 and they were initially used for tracking vehicle parts during the manufacturing process. Nowadays they are becoming more common in a commercial content, where mobile phone users are targeted with adverts in magazines, in shop windows and on billboards. I never noticed them myself, but Waitrose took to sticking QR codes on their recent TV ads. You’d have to be pretty quick off the mark to catch them – although I suppose you could always Sky+ them. QR codes can be used to display information to a user’s mobile phone, including simple text, to point to a website, to compose an email or text message and even to add a vCard to the device. Many camera phones, including any with an Android OS and Nokia’s Symbian OS can read QR codes automatically. I had to download a free app for my iPhone to have a play – but let’s face it, that’s no hardship. There are several free and easy QR code generators on-line that within seconds allow you to create a QR code, which could then be published online or in print, or perhaps on signage – or maybe your business card. What about clothing? 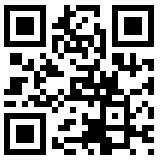 I found one website that offers customised clothing with your own ‘secret’ messages printed in the form of a QR codes. Brilliant – it means you can wear really offensive T-shirts in public without embarrassment as only those who choose to point their mobile phone at you can find out what the hidden message is. Try the very inoffensive looking QR code over to the right for size. The less offensive example at the top of this page automatically directs the reader to this blog. Do the same with the code to the left of this paragraph and you will automatically be offered the option with a single click to ring me. Don’t worry, I like to live dangerously. Given the increasing use of QR codes in a commercial (and therefore communications) perspective I’ve been thinking about whether or not they could possibly be used in an Internal Communications context. And you know what? I’m beginning to think they could! Hi Jon, hope you’re doing ok and finding your feet in your new role. I think this is a great idea. I’ve had one on the top left hand side of my Twitter page for about a year: http://www.twitter.com/rachallen – which reminds me I need to update it to my new URL, thanks for that. With reagards to these codes, I think there is a use for them and agree that “bog media” could certainly play its part in promoting them. Would be vital to enable employees to access info quickly, so if readers/apps were easily available or as standard on mobile devices, I see no reason why they couldn’t be thrown into the mix. Hamilton Chan, their CEO reckons that QR codes are “The shortest distance between curiosity and information retrieval”. Brings us back to bridging the gap between real-world information and online data.